server racks to be prepared for the next security audits. During a global project taking place in European locations as well as in Asia and the USA, an internationally operating major bank is currently installing electronic access control systems for all server racks in its data centres. All system components are provided by EMKA Electronics. Furthermore, EMKA is responsible for the worldwide installation and commissioning. This presents a real challenge when considering the start-up of 3,500 server racks and a very tight schedule. The specifications of the internationally operating major bank were without compromise: The new system must be integrated seamlessly into the existing security concept and the higher-level authorisation system. The continuous use of currently available RFID proximity cards must be ensured; this includes opening of the server racks. Further objectives specified the protection of the server racks from unauthorised access and the installation of a central online software link that allowes the status of the racks to be read out. 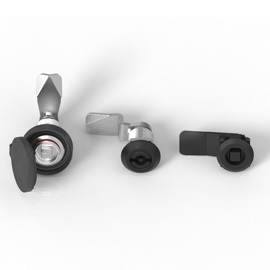 The replacement of the mechanical locks must not jeopardize the currently running process at any phase. Furthermore, installation and service must be provided by a single source. Due to its international presence, EMKA is in a position to guarantee that. 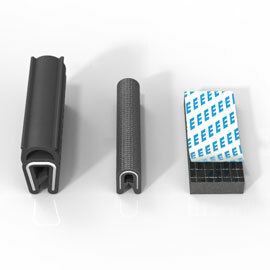 Different rack types in use The challenge for the implementation of an electronic locking system presented itself in the multitude of different rack types available in the various data centres. 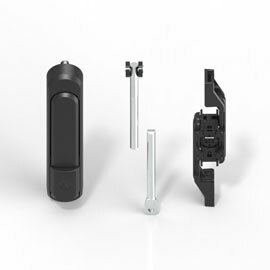 The requirement called for a single electromechanical locking system that easily replaces the existing diverse locking mechanisms, such as swing- and lift-handles, rotary handles and retractable T-handles. Here, EMKA‘s comprehensive experience in manufacturing mechanical looking components for switching cabinets and control cabinets presented its advantage. The ability to be flexible in the design of cabinet doors proved to be an absolute necessity during the course of the project. During this project, EMKA Electronics relies on its latest development: the „Agent E Wireless“. Its motto is “Wireless instead of hardwired”. The system is compliant with the requirements of the major bank and comprises battery-operated handles with built-in RFID card readers that communicate wirelessly with the Access Units. Thus, the operator receives information about the current condition of the server cabinet doors in real time. This data is then displayed in the management system. The same radio connection is used to verify an employee‘s authorisation as soon as he/she displays the proxy card in front of the reader, which is integrated into the handle. All opening and locking procedures are recorded without exception and, therefore, comply with the specified mandatory proof of identification by the operator. 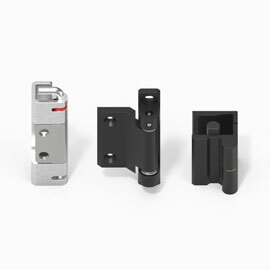 The wireless radio connection makes the installation of the handles very simple. Installation times are drastically reduced, which also decreases the costs. Hardwiring safety equipment in electrical cabinets is a thing of the past. For the time after the installation is completed, the international financial institute signed a long-term service contract with EMKA.